Today I found out the symbol on the “pound” or “number” key (#) is also called an “octothorpe”. Ralph Carlsen of Bell Labs wrote a memorandum on this symbol upon his retirement in 1995 where he states that Don Macpherson came up with the name when he went out to instruct their first client of the new telephone system, the Mayo Clinic. He thought Bell Labs needed an unambiguous name for the # symbol, which had many names, so came up with “octothorpe”. The latter “thorpe” was in reference to the incredible Native American athlete “Jim Thorpe”, who at the time was trying to get his 1912 Olympic medals returned after having them stripped away due to the fact that he once had accepted money for playing a sport (baseball), previous to those Olympics. Macpherson at this time was part of the group that was trying to get Thorpe’s 1912 Olympic medals returned. Douglas a Kerr of Bell Labs stated in 2006 that the term was invented by C Schaak and Herbert T Uthlaut and it was originally “octatherp”, which was more or less a joke term between the two. This seems less plausible than the previous story. Why would they say “octa” instead of “octo” and why would it have been changed relatively quickly after its creation to “octothorpe” in the first patent that references the term? Nevertheless, Kerr was there, so perhaps it’s true or perhaps not as Ralph Carlson was there too. Given that the word circulated around Bell Labs for about 10 years before appearing in text, it’s also possible it was invented by Don Macpherson, as Ralph Carlson said, and that C Schaak and Herbert T Uthlaut mocked the term calling it “octatherp” as a joke, as Douglass Kerr said. Jim Thorpe eventually had his Olympic medals returned in 1983… 30 years after his death. In the U.S. patent in 1973 where “octothorpe” first appears, the asterisk (*) was referred to as a “sextile”. The # is often called the pound symbol in the United States as it is often used with numbers related to weight. Originally “lb.” was used for this same meaning. Later, printers designed a font containing a special symbol of “lb” with a line through the verticals so that the “l” wouldn’t be mistaken as a one (℔, Unicode character U+2114). Eventually, this changed to the more familiar and easier to type on a standard keyboard “#” symbol. Another common name for the # symbol in the United States is “number”. In these two cases (pound and number), if the symbol precedes a number, as in #2, it is traditionally read as “number”. If the symbol follows the number, it is traditionally read as “pound”. Yet another accepted name for the # symbol is “hash”, which is a popular one in the UK. It is also the generally accepted name for the symbol when referring to computer programming usage (often used as a comment sign, particularly in scripting languages). An international standards body officially named the # symbol “square” in 1989. This is why the British Post Office and British Telecom call the symbol a square, instead of the more common British name for it of “hash”. The # symbol is also commonly called a “sharp” in such places as Japan and others. In many places, this is as a result of the similarity to the musical sharp symbol (♯). In Malaysia, the # symbol is commonly called a “hex”. 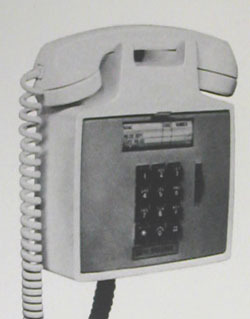 The * and # were originally selected to go on a standard telephone pad in 1961. Link Rice and Jack Soderberg at Bell Labs toured the country trying to find out what possible telephone/computer interactions might come up and what would be the best symbols to use for those. Eventually, they settled on the * and the # as those keys were available on standard typewriter keyboards. In the U.S.-English layout of a standard keyboard, the # symbol appears on the same key as the number 3. On the UK-English keyboard, the character above the number 3 is the £. Americans call both of these symbols by the term “pound”, but the English never call “#” by “pound” for obvious reasons. Microsoft’s programming language C♯ (pronounced C-sharp) is often mispronounced “C hash” or “C pound”. The confusion comes from the fact that the symbol following the C is supposed to be the musical sharp symbol (♯). But given the # symbols prevalence in various programming languages, most programmers assume it was meant to be the “hash” symbol, until corrected. In scripting languages where a # is followed by a ! (as in #! ), this is known as a “shabang” (sometimes spelled “sh-bang” or “shebang”) and is typically used to tell the operating system what program to use to run some script. The former name of “shabang” is thought to have come from the contractions “SHArp bang” or “haSH bang”; another popular theory is that it comes from the fact that the default shell “sh” is usually invoked with “shebang”, hence “sh-bang” and eventually “shabang”. The latter “bang” name for the exclamation point is traditional Unix jargon. In Chess notation, the # symbol placed after a move indicates a checkmate. This replaced the more traditional ‡ symbol. The compound tone generated on a phone by pressing the # key is a mixing of 941 Hz and 1477 Hz. The two horizontal lines in the sharp symbol ♯ are optional in musical notation, but required in the # symbol. Hi, thought there was a comment, came looking for it, found none. So I’m making this one. Octothorpe most commonly (I thought) had to do with cartography. OCT tends to be EIGHT, you’ll notice there is no eight in any of the explanation, nor apparently in the cross-hatch (#). It represents a town (the box) surrounded by eight fields (three north, three south, one east, one west). 1. (archaic) A group of houses in the country; a small village; a hamlet; a dorp. As a bonus: hexadecimal ? hex is 6, how do we get this as a name for the base 16 numbering of computer binary representation of groups of four bits ? The correct designation would be ‘sexal’, as in ‘octal’, the numbering-base for groups of three bits, the standard during the 6-bit-byte days. This was considered scandalous and could not be abided. Hexadecimal comes from sixteen (hexa=six and decimal = ten) because the numerical system used to represent a quantity is based on sixteen symbols (0,1, 2, 3, 4,5,6,7,8,9,A,B,C,D,E and F). In an octal base there are eight symbols (0,1,2,3,4,5,6 and 7). In a binary base there are only 2 symbols (0 and 1). The system we use everyday is called decimal because every quantity is represented by a sequence of symbols within a set of ten symbols (0,1,2,3,4,5,6,7,8 and 9), from the Greek deca=ten. This way the same quantity may be represented in different bases. In order to make explicit in which base the quantity is being represented a letter after the representation brakes the ambiguity. This way b is for binary, o is for octal, d is for decimal and h is for hexadecimal. Nothing being said it is always assumed the decimal base (by default). Those are the most commonly used numerical bases. As you might have already guessed, there is an infinite number of representations for the same quantity, depending on the number of symbols used to accomplish the task, and depends on the code set between subjects that want to communicate. Just to make it more interesting: 1Dh=35o=11101b=29d. Meaning our good and old number 29 (in decimal) may also be written as 11101 in a binary system or 35 in an octal system or even as 1D in hexadecimal system. Y’all have fun with numerical systems (bases). I’m forever calling hashtags octothorpes. @Mellevsen: I got it from my about 14 years of playing music daily, though admittedly, that was a long time ago and for all I know my instructors were parroting and even older practice that is no longer used. You sure like that word ubiquitous, it’s everywhere!